Until now, the site-specific performances of ‘Invisible Architecture’ took place in a light-tower, art galleries, wastelands, churches, living rooms, and tunnels. Each site required a new investigation, where the sound sources and the way in which the performance was developed, were chosen in relation to the acoustic response of the site. 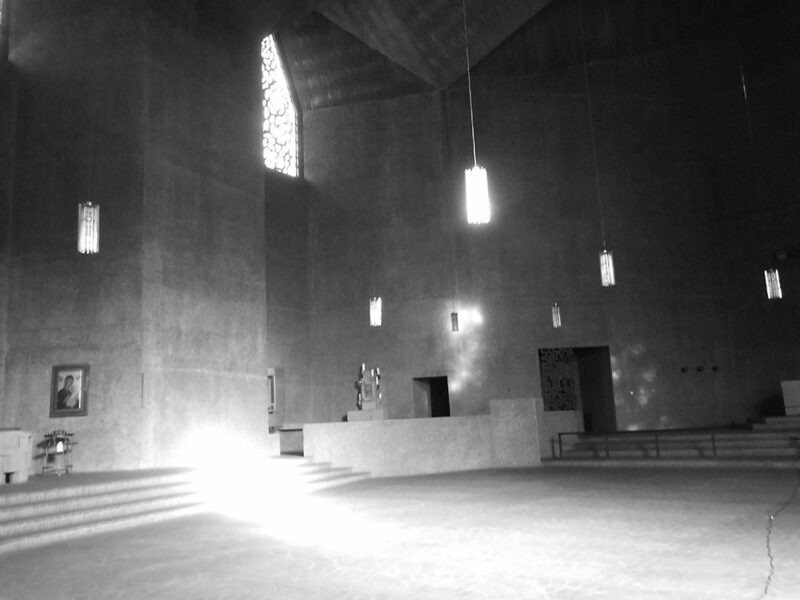 A site-specific experience similar to the work realized in the tower in France was done in the Sankt Gertrud church, Cologne (Germany, 2015) during an artist-in-residency at Raumklänge – Ortsbezogene Musik. The results of this investigation are in process of post-production. One sample of this work was published under the title ‘Acoustic reflections of one voice in a church (live recording)’ and was included in the compilation ‘Audio-DH: Sonic Manifestations from 250 artist from Den Haag’. In the church and in the tower, resonant frequencies and reverberations were emphasised and prolonged with the interaction of the human voice and the echo, making recordings with unconventional microphone techniques. In the compositions and during the live performance, the intention was to make the acoustic reflections audible, more than the sound sources (the voice and surrounding sounds) that exited them. The tone modulations, breathing voice rhythm, and position and type of microphones used, were chosen in response to the qualities of the chosen site. From these variables drones, overtones and other acoustic phenomena appeared in the space.